Looking to have your birth certificate translated from a foreign language into English for official use in Australia? OPAL Translation is a NAATI Certified translation service provider, providing birth certificate translation services. Our amazing service is available for all languages into English! You can order your birth certificate translation from the comfort of your own home – you simply complete our enquiry form on our website and upload a scan or photo of your birth certificate and we will reply within 15 minutes via email with a firm quote. For the majority of our clients, our Regular service is at a special online rate of just $69.00 per birth certificate! 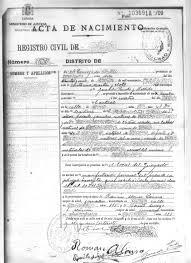 How do I translate my birth certificate? We will deliver your draft birth certificate translation via email for your review and approval. Once approved, we will provide you with the final NAATI certified digital birth certificate translation via email and also post out the original hard copy birth certificate translation in the Post. How long does it take to translate a birth certificate? We understand that many clients have urgent birth certificate translation needs. However, others are not in a rush. We provide different pricing options for our clients based on how quickly they need their translation. Simply complete our enquiry form on the website and we will get back to you very shortly with your options. Prices start at just $69 but we also provide faster services available for an additional fee. For a comprehensive assessment of your document, simply fill in the enquiry form and we will provide you with a firm quote. Is your birth certificate translation service “NAATI Certified”? Yes, our birth certificate translation service is 100% NAATI certified. This means that you can use the translation that we provide you for all official purposes in Australia. Our service is backed by our 100% Acceptance Guarantee. We exclusively work with NAATI certified translators and ensure that all of our translations are accurate. Not only that but our team of project managers see to it that we are providing high-quality translations. Before you receive your document, they will recheck all translations and see to it that there are no errors. You can rest assured that when you choose us, you receive professionally translated documents with a 100% acceptance rate. What languages is your birth certificate translation available from? At OPAL Translation, we translate birth certificates from all languages into English – all 100% NAATI certified of course. We also translate from English into any language, usually for clients using documents for submission to DFAT or use overseas. Some of the most common languages that we translate are Arabic, Chinese, German, Spanish, French, Italian, Japanese, Korean, Greek, Swedish, Malay, Indonesian, Polish, Croatian, Serbian and Thai. But we do also translate all languages, so simply complete the form on this page to enquire about our birth certificate translation service. What is a NAATI certified birth certificate translation and why do I need it? NAATI stands for the National Accreditation Authority for Translators and Interpreters. NAATI is the only body in Australia that provides accreditation for translators and interpreters in Australia. The majority of Australian authorities that people submit translations to require that the birth certificate translation by NAATI certified – that is what we do, always 100% NAATI certified. Pricing for a birth certificate translation under our Regular option starts at only $69.00 – special online offer! Sounds great – what do I need to do? Simply complete the form on this website and upload a scan or photo of your birth certificate and we will get back to you within 15 minutes via email with a firm quote and instructions. Early birth certificates only captured a small outline of the child’s identity and parents. Adopted children have two birth certificates. The first one listed their birth parents and the other contained their adoptive parents. In 1997, the birth certificate of Paul McCartney was auctioned for a whopping $84,146. It is believed to be the most expensive birth certificate in the world. In Asia, 135 million children under 5 years old do not have birth certificates. Without birth certificates, children who get sick have a lesser chance receiving treatment. They will also have a harder time accessing legal protection, getting into school and are not included in the decision-making of the government. Birth certificates matter. So what are you waiting for? Get a free quote today by simply sending us a copy or scan of your birth certificate and receive a firm quote in less than 15 minutes via email! If you have any questions, feel free to get in touch via the Live Chat below or the translation quote form.